Winner of the 2002 Knife of the Year award, the 555HG Mini-Griptilian features a hollow ground modified sheepsfoot blade made of high-quality 154CM stainless steel. 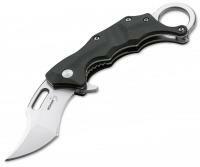 A thumb hole on the blade allows for quick and easy ambidextrous opening. 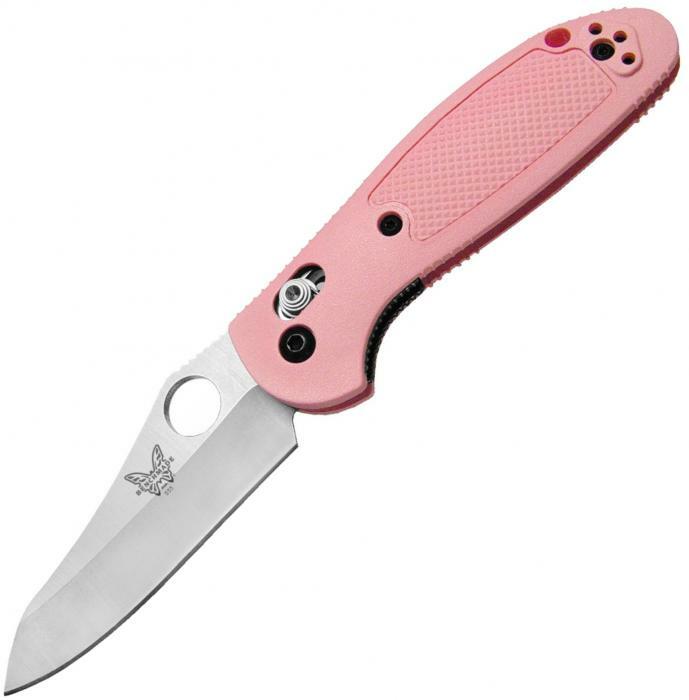 This particular iteration of the 555HG Mini-Griptilian, the 555HG-PNK, has a plain edge with a satin blade that comes in just under 3 inches long. That's the perfect blade length for the everyday carry that can tackle demanding jobs and excel at nuanced tasks. Along with the durable blade, this Mini-Grip has a pink Noryl GTX handle with a grip-textured surface and a rib-covered spine. 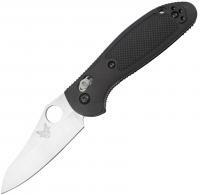 Even in slippery conditions, the Griptilian will live up to its name by comfortably conforming to the hand.